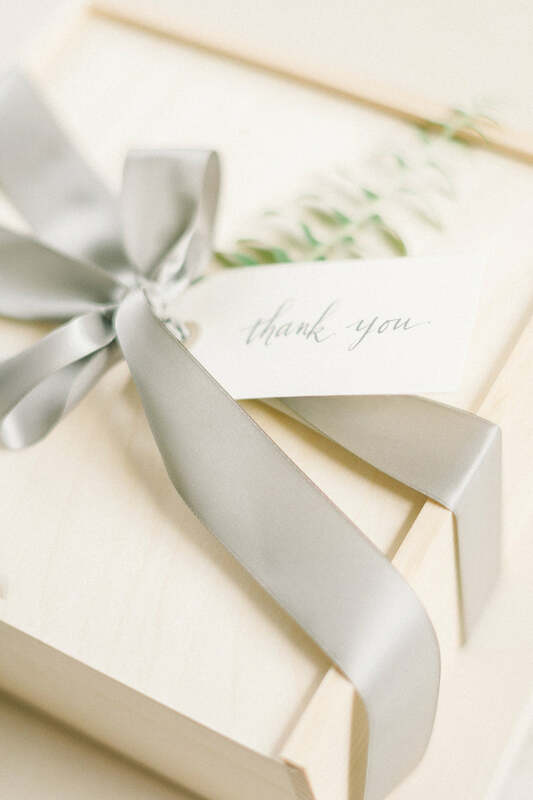 So often we focus our gifting attention on the ladies of the wedding party – mother of the bride, mother of the groom, grandmothers, and (of course!) bridesmaids – and for great reason! 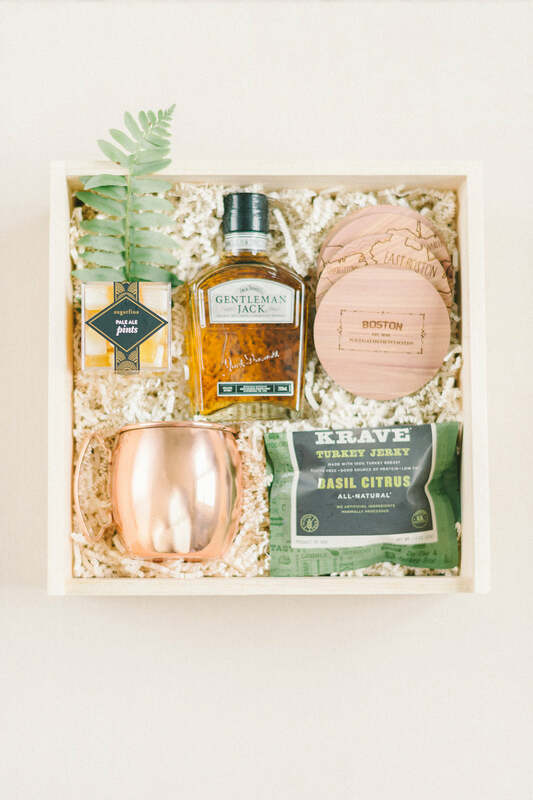 However, we’ve decided that the gents of the wedding party, specifically the groomsmen, deserve artisan groomsmen gifts just as much as the ladies enjoy receiving artisan bridal party gifts. 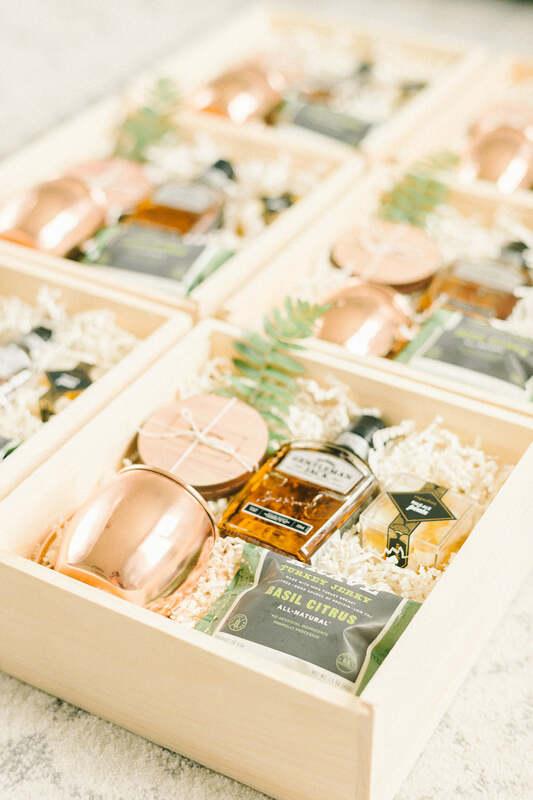 When we were contacted by a bride and groom, both busy physicians, to create custom gifts for their wedding party, we were delighted to learn they wanted the Marigold & Grey team to design unforgettable pieces for their bridesmaids and groomsmen. Today, we’re diving headfirst into the fabulous gifts we sourced for the gents! 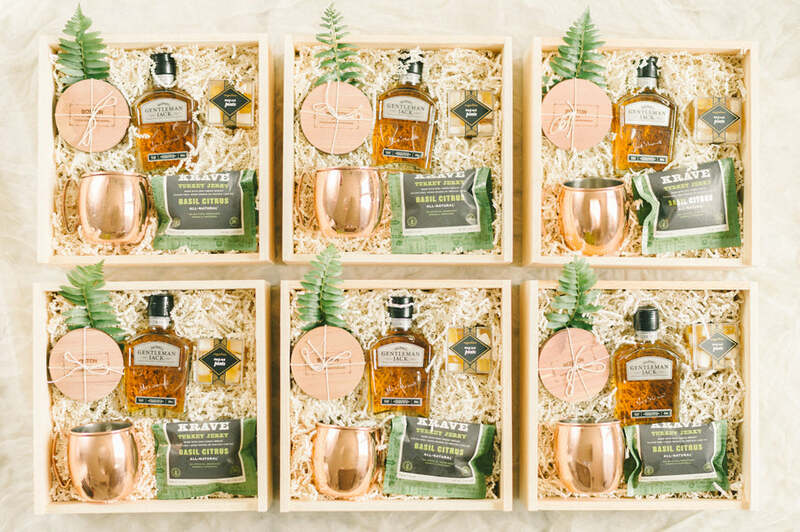 Each groomsman was greeted with a gorgeous pine box complete with a hand-lettered gift tag. Calligraphy by Just Write Studios. The look is soft and completely gorgeous for a summer wedding in Boston! Inside, we paired all natural beef jerky with Moscow mule mugs awaiting their first cocktail. Although more appropriate for the cocktail for which their named, we also could imagine the gents enjoying their bourbon in their mug! Because candy is perfect for each and every occasion and custom gift, we opted for pale ale sweets from Sugarfina. And taking these custom groomsmen gifts to a whole new level are the cedar coaster sets with Boston neighborhoods etched into each one. Together, all of the pieces for this custom gift build combined to create a piece that was as gorgeous as it was masculine!